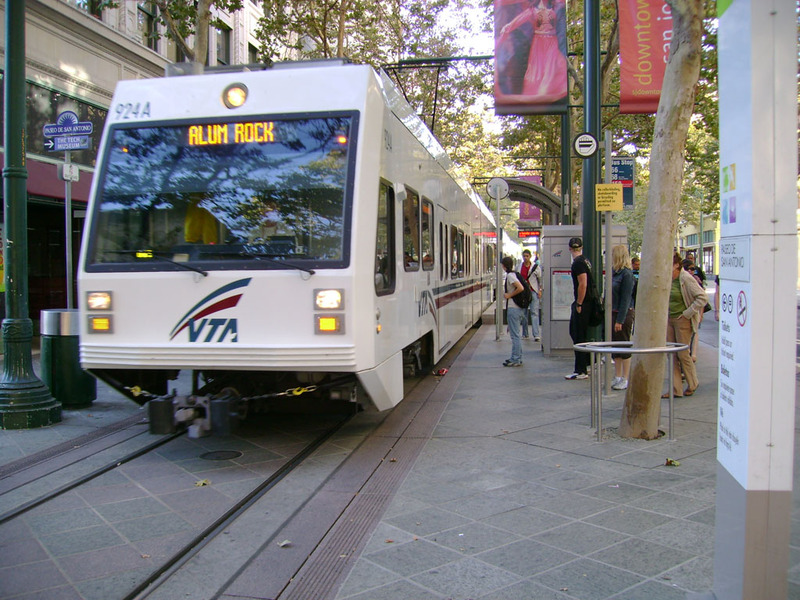 You just got one more reason to party hard in San Jose this New Year's Eve... free VTA rides. Between 7pm on Dec 31 and 4am on Jan 1, light rail and bus service will be free of charge! As the population in San Jose continues to grow, we will inevitably need to increase density throughout the city, not just Downtown. The intermediate solution is to build medium density buildings (4-5 stories), which is what is happening right now for both residential and commercial buildings. The long term solution is really opening up high-rise development in areas that are traditionally much less dense, even suburban. 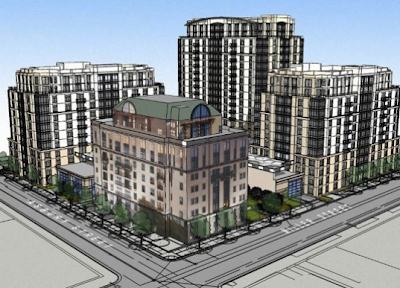 The ideal location for these developments would be in places near retail and public transit (Vendome Towers on First pictured below). There is plenty of immediate potential around Eastridge Mall, Oakridge Mall, and Alum Rock shopping centers. In the end this would let us grow in an efficient and sustainable way... not to mention pretty up the skyline. The city of San Jose is about to receive a substantial chunk of cash in order to build an Environmental Innovation Center that will focus on showing off emerging clean technologies as well as selling sustainable construction materials. 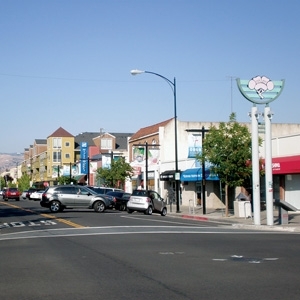 San Jose will be the first municipality to receive state tax credits for this type initiative. Construction of the Environmental Center is expected to be completed December 2012. For more info, click here. 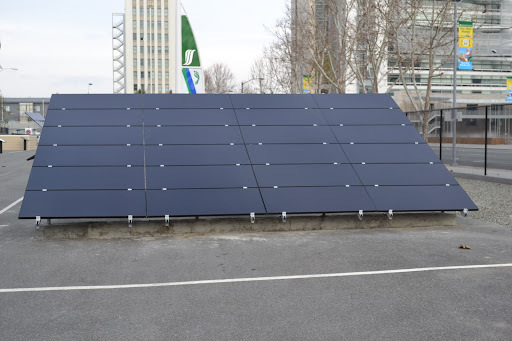 Stion is a San Jose green-tech company that makes high-efficiency, thing-film solar modules. They just finished a $130M equity round which will no doubt help them grow. If you want to check out their product, they are part of the green showcase across the street from city hall. For more info, click here. Happy holidays to all of the San Jose families out there (and the non-San Jose ones too). If you want to see the best Christmas displays San Jose has to offer, then look no further than this page! The good news train continues to roll. Fresh & Easy will now definitely be coming to Downtown San Jose. I finally visited one in Sunnyvale, and I find it a very similar concept to Trader Joe's. I think it will be hugely beneficial for Downtown. Even if you're not a fan, you have to admit it will help clean up the area Albertons/Su Vianda left behind and help keep the Market's prices low. A second Fresh & Easy will also be coming to North San Jose in the new @First complex. In addition, we finally got confirmation that Whole Foods will continue to open a 30,000sqft store on the Alameda right on the edge of Downtown. You'll have to wait a few year before they open their doors, but at least we know it's coming. More info can be found here, and thanks to everyone that sent in this news! If you happen to be an AT&T subscriber, I have some good news. AT&T just added 3 new cell towers in San Jose, in addition to upgrading over 100 cell sites within the city limits (220 in Santa Clara County). These investments will enable 4G wireless connections and improve service for all subscribers. 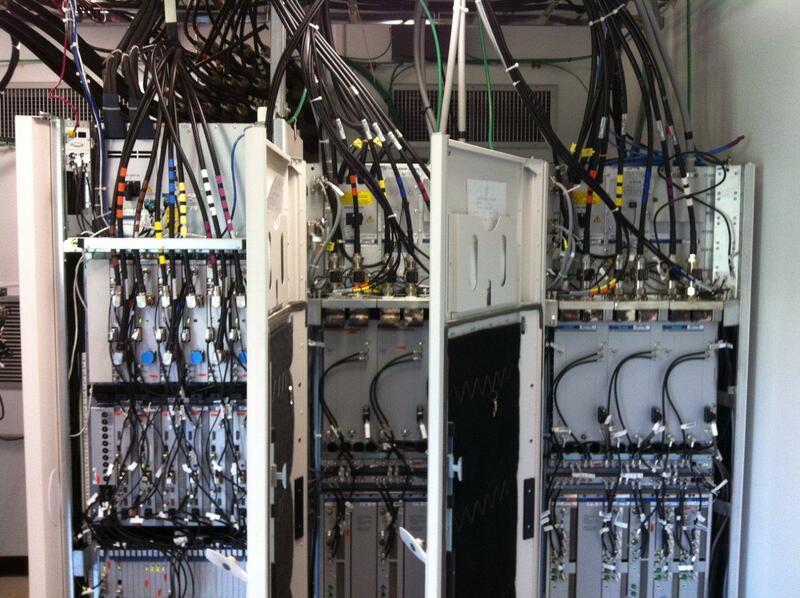 There are even some photos below of the new equipment. Hopefully we will continue to be one of the first markets to get these infrastructure improvements going forward, being the capital of Silicon Valley and all (I'm looking at you 5G technology). SAN JOSE, CA. DECEMBER 7, 2011 — AT&T today announced network upgrades in San Jose designed to provide its customers faster speeds, increased reliability and best-in-class wireless service. In addition to expanded coverage and capacity from the three new cell sites in San Jose, AT&T has added additional capacity to more than 100 cell sites in San Jose and to more than 220 cell sites in Santa Clara County. 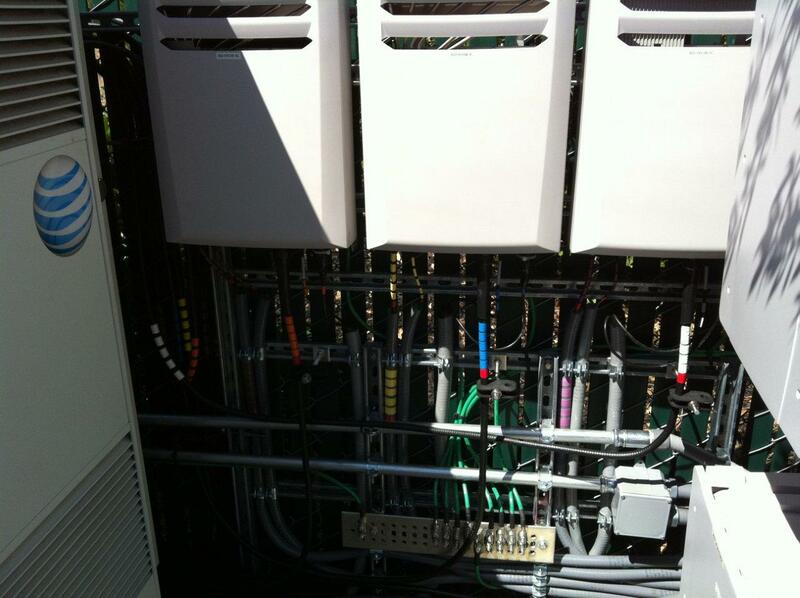 In addition, AT&T continues upgrading cell sites with fiber optic and Ethernet connections back to the central switching facilities, enabling faster 4G speeds in San Jose and across the greater Santa Clara County. 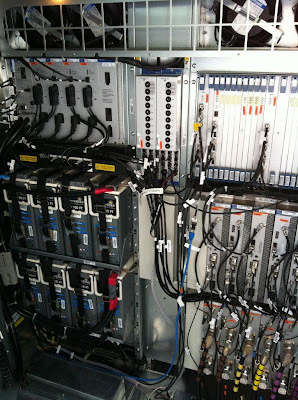 AT&T’s mobile broadband network provides several important advantages for customers, including the ability to talk and surf at the same time. For instance, customers can look up directions to an event while still talking on the phone, or browse social media sites will chatting with a friend. 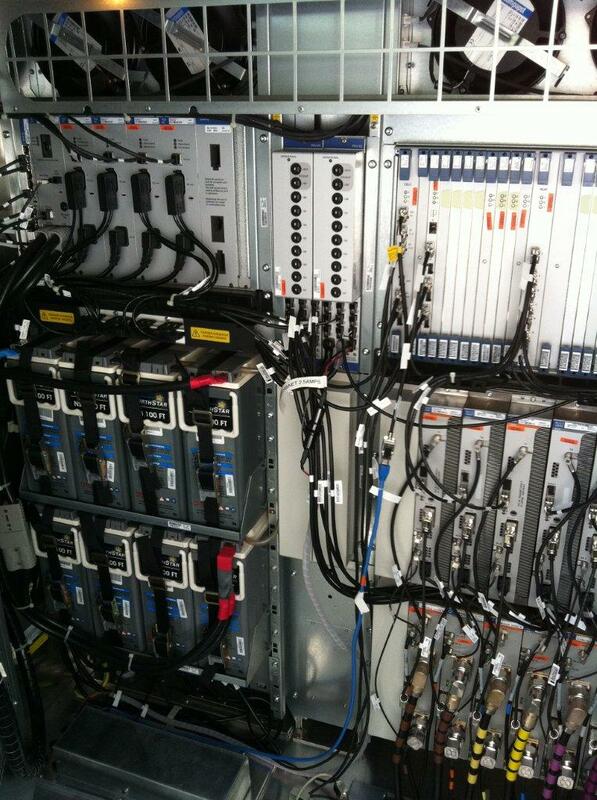 AT&T also provides access to voice service in more than 225 countries and data service in more than 200 countries. Business Traveler magazine recently named AT&T as having the “Best Mobile Coverage in the World” – the fourth time AT&T has received the distinction. In addition, most AT&T smartphone customers have access to more than 29,000 AT&T Wi-Fi Hotspots across the country, and more than 860 across the San Francisco Bay Area at no extra charge. With more than half of AT&T customers now using smartphones, the popularity of Wi-Fi is soaring. AT&T customers are now making more than 100 million connections a month to the AT&T Wi-Fi Network. San Francisco leads the nation with nearly 10 percent of all the Wi-Fi connections coming from the greater Bay Area. ANA Bringing Direct Flights to Japan from San Jose!!! Wow, Merry Christmas San Jose! SJC is finally reaping some fruits from years of lobbying for more international flights. Yesterday, All Nippon Airways (ANA) announced that they will be bringing a new nonstop flight between San Jose and Tokyo. This will be a tremendous benefit to Silicon Valley companies, the city of San Jose, and of course those of us the would like to visit Japan. Could this news get any better? Apparently it can. When the new route kicks off in 2012, ANA will be using their brand new Boeing 787 Dreamliner planes. In fact, it will be one of the first routes in the US to use the 787. Some of the amenities include a full bar in coach, the largest windows ever put in commercial aircraft, LED lighting, and restrooms with built in bidets (it's a Japanese thing). For more info click here. I'm keeping my fingers crossed for special pricing during the first couple months of flights like Alaskan has been doing on their new Hawaiian flights. Just a quick heads up that 2 weeks from today -- January 4th -- will be our 1,000th post! In honor of this momentous occasion, we'll be unveiling a proper logo (which looks stunning by the way). Below is a tiny preview. We'll also be switching to a much simpler blog template to compliment the logo and improve scrolling speeds. Hope you'll like the new look and we'll be looking forward to feedback! Surprisingly entertaining (intentionally and unintentionally) VTA safety video. "Remember, the lightrail train is electric. It's stealthy like a tiger. It can sneak up on you... silently. So you better keep your whits about you." Thanks Jen! History San José learned today that it has received a 2011 Cataloging Hidden Special Collections and Archives award from the Council on Library and Information Resources (CLIR) through funding from The Andrew W. Mellon Foundation. Among the hidden collections seldom seen by the public are five significant groups of records from the Perham Collection of Early Electronics. This material is the legacy of Douglas M. Perham (pronounced PURR’ uhm) (1887-1967), an early electronics experimenter and wireless radio pioneer. Paralleling Perham’s career, the collection preserves rare materials from some of the earliest commercial work in electronics in the U.S. and an incubating Silicon Valley from the 1890s to 1960. The Collection augments existing History San José collections, documenting the evolution of Silicon Valley’s electronics industry and the intersection of technology and society in this region. Volunteers have cataloged some 2,500 Perham artifacts and 1,200 photographs, as well as hundreds of rare books and trade manuals. Received largely unprocessed in 2003, the Perham manuscript and ephemera collections, however, require professional arrangement and description. This project will focus on five manuscript collections: the papers of radio and motion picture pioneer Lee de Forest, which comprise the largest known collection documenting this award-winning, contentious inventor; research notes and correspondence of Jane Morgan, author of Electronics in the West, a treasure trove of information on early electronics pioneers; electrical engineer Harold Elliott’s papers and drawings which augment rare materials from Federal Telegraph Company (Palo Alto, San Francisco); and Perham’s Historical Files, an all-inclusive collection of ephemera, notes, manuscripts and other items on an array of people, companies and events. Criteria for this grant includes the potential for national impact on scholarship and teaching, as well as innovative and efficient approaches that maximize the accessibility for scholars and community members. The announcement by the CLIR, along with History San José, includes such prestigious and diverse recipients as the Smithsonian Institution Archives of American Art, Rutgers, the State University of New Jersey The New York Archival Society, Center for Jewish History, Mennonite Heritage Center among many others. More detail on this year's funded projects can be found at http://www.clir.org/hiddencollections/awards/index2011.html. Other previous recipients from the Bay Area include the University and Jepson Herbaria at the University of California, Berkeley in 2008, the California Historical Society in 2008, the California Digital Library in Oakland in 2009, and the Stanford University Libraries in 2009. BART to San Jose in 2016? It looks like we may be getting BART 18 months early! Last week the VTA approved spending $772 million to start construction of the first phase of the BART extension to San Jose. Originally slated for 2018, it looks like the developer may be able to pull it off by late 2016 (and receive performance bonuses as an added incentive for completing it early). For more info click here. Wow, now here is some good news for you. During the 12 month period ending in October, our job market grew by 3.2% making it the national leader in job creation. That is nearly triple the nation's average and double the California average. San Francisco--our frienemies up north--only managed to swing 1.8% job growth. Los Angeles did even worse with 0.8%. Even better, this article is bullish on the South Bay's ability to continue to add jobs and even thinks it will bring up surrounding job sectors across the entire Bay Area. Unlike the .com days, there are substantial companies hiring here that are adding real value and have rock-solid revenues (Google, Apple, eBay, etc.). To read the full Merc article, click here. Another monthly San Jose event kicked off last weekend. Every 2nd Saturday, you'll be able to do a wine crawl in Japantown featuring 15-20 different wineries! More info below, or click here to buy tickets for future wine walks. Join us every 2nd Saturday of the month in Japantown, San Jose where retailers and restaurants open their doors for fun seekers & wine enthusiasts alike from 2pm to 5pm. Every month, Wine Walk Japantown will have 15 to 20 different wineries, with two local wineries exclusively featured. A portion of the proceeds benefit a different local non-profit every month and the Japantown Business Association. Hosted by Jack's Bar & Lounge. MISSION Wine Walk Japantown aims to provide a great monthly event for the community and neighborhood, bring new and additional foot traffic and business to the area, and help support local non-profits and wineries. RSVP your tickets here! Tickets can also be can be purchased by visiting Jack's Bar or any of the participating businesses. Print out your tickets and redeem the day of the event for a signature wine glass and 15 to 20 one ounce tasting pours (depending on the number of participating businesses). Additional wine and drinks can be purchased during the event at locations that already sell drinks during normal business hours and at the end of the event at Jack's Bar during and after the raffle. Every participant receives one entry in the raffle. Must be present to win. Sounds like another awesome event from Dischcrawl co-founder Tracy Lee! This is exactly the type of scene that we need to nurture to keep the creative juices flowing in San Jose. Thursday night was what I think will be the first of many PitchCrawls in downtown San Jose. Created by the energetic Tracy Lee of Dishcrawl fame, the event brought together investors and startups in a crawl through some of downtown’s innovation centers, with a break at each for startups to pitch their ideas in 3 minute sessions to investors who offer everything from funds to technology for the companies they invest in. We heard ideas for everything from affordable tech support and iphone apps to the next hot sports drink company founded by a scientist and a well known athlete and an outsourced HR company. Ideas were flowing and so was the banter as we moved from place to place. This is a refreshing change from the usual pitch events, that’s for sure. Instead of gathering in a room to hear elevator pitch after pitch and then the frantic rush to speak to “the” investor, startups and investors had a chance to mingle and talk more casually, eat some great food and tour some of San Jose’s downtown innovation centers at the same time. Everyone I asked was delighted with the format, even in the chilly winter weather as we worked our way from venue to venue. The first stop was at the San Jose Tech Shop. I’ve been wanting to venture in here for months. They soft-opened in July and the place is amazing. If you’re wanting to do anything requiring very cool and expensive toys, this is your place. They offer classes to expand your knowledge for using everything from CAD programs and 3-D modeling to a sophisticated machine shop, industrial sewing equipment, a powder coating booth and a huge water cutting table that can slice through marble or steel like a hot knife through butter. Very impressive. We noshed on tacos from Juanita’s and had a tour of the facilities, then stopped for round 1 of the pitches. Stop 2 was at the home of DishCrawl and several other burgeoning startups housed in Next Space, a co-working space on 2nd St. While we sampled the amazing concoctions provided by Raw Daddy (find him at the Sunday Campbell and Palo Alto farmer’s markets) we met more founders and toured the space with manager Gretchen Baisa. If you’re looking for a drop-in space to work or a friendly office environment that’s not in your garage, you should be checking this space out right in the heart of downtown San Jose. The 3rd stop was–in classic DishCrawl style–a food truck. This time from House of Siam for some yummy roti wrapped around satay pork with peanut sauce. It was a quick stop but gave us more energy for the busy networking scene going on at our last stop, the Irish Innovation Center. The Innovation Center had a full-on networking event going on already in the Silicon Valley Holiday Mixer, complete with a mini trade show and music, and the place was packed. Add a pile of Pichcrawlers and you’ve got a fantastic networking opportunity. The center partners with the Kauffman Foundation, Microsoft Bizspark, IDA Ireland. and Price Waterhouse Coopers to name a few, and offers members office space, mentoring, education and the opportunity to connect with potential funders. All in all, the event was a huge success and I heard quite a few meetings being scheduled. What a unique and fun way to get in front of some interesting investors with your startup or find the next startup before anyone else! The next PitchCrawl is to be held in San Francisco on January 10. At last check there were just a few tickets left, but I expect they will be back in Silicon Valley soon. Big congrats to the DishCrawl team for another well executed concept! Last month the San Jose City Council unanimously approved a general plan for the city that emphasizes jobs and improved transportation. Specifically, we're looking at potentially 470,000 new jobs and 120,000 new homes over the next 30 years. 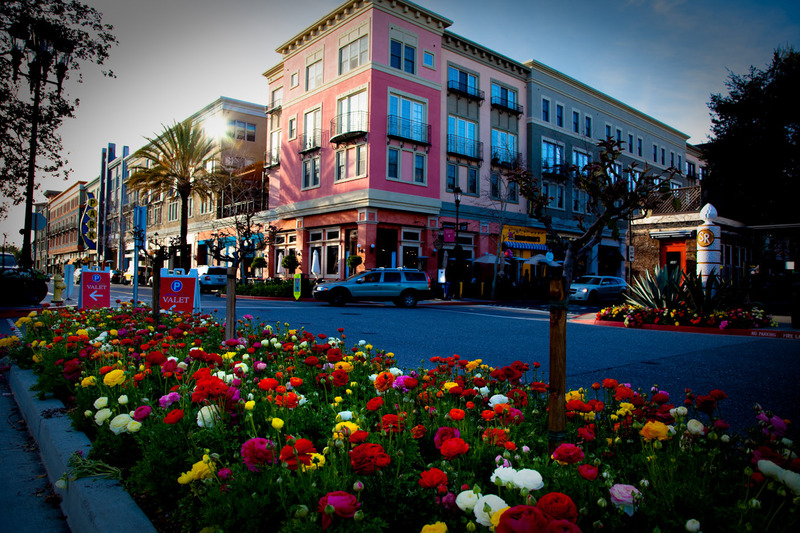 Growth will particularly be concentrated in North San Jose, Coyote Valley, Evergreen, Edenvale, and Downtown. The new development model will feature the creation of urban villages with a very dense mix of housing, office, and retail close to public transit. This news isn't so surprising given the number of reports this past year about how hot our rental market is. San Jose has a ridiculously low apartment vacancy rate of 3.1%, along with an average asking rent of $1,506. In this situation the laws of supply and demand dictate that rental rates will be rising (I'm sorry renters). Average asking rents for 2012 are estimated to reach $1,615. A fully working train for kids that goes around the park. An $11 pin that provides discounts at 30 different restaurants. Holiday Hat Trick pass, which includes passes for Downtown Ice, the San Jose Museum of Art, and The Tech. 1.) Remove the requirement that all ground floor space Downtown must be retail. This will allow offices to fill in some of the empty storefronts. 2.) Full-service hotels with more than 75 rooms would no longer need a conditional use permit to have a drinking establishment and live music in the hotel. Arts Council Silicon Valley and 1stAct Silicon Valley launched LiveSV.com to provide consumers a way to share what's new and unique in the Silicon Valley arts, culture, and entertainment scene. The San Jose Public library has been awarded the 2011 National Medal for Museum and Library Services (first city library in California to receive the award). Starting Jan 1, plastic bags are banned from all San Jose stores (restaurants exempt) and paper bags will cost 10 cents. People are encouraged to bring re-usable bags. 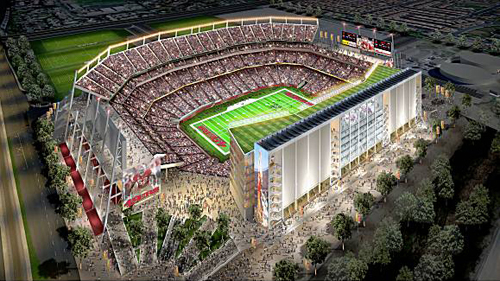 I know it's not San Jose, but it's Sunday and I have to mention the fact that the 49ers have lined up the $850M of financing for the new stadium. This pretty much seals the deal and guarantees the Niners are coming to Silicon Valley. San Jose will be a tremendous beneficiary as we'll receive yet another professional sports team in the San Jose Metropolitan Area (maybe two). I'm dreaming of a 2015 scenario where Silicon Valley hosts the Sharks, Earthquakes, 49ers, Raiders, A's, and maybe even a pro Basketball team. People would laugh at the thought 10 years ago, but now it may actually happen. For more information on the 49er loan, click here. The holidays at History Park have become a tradition. Children’s Day at History Park will be Sunday, December 11 from noon to 4 PM. Santa will be on-hand for photo opportunities. Children can ride the trolley with Santa Claus on the 1 PM and 3 PM runs. A highlight every year is that children can experience operating the hand-cart along the tracks. There will be holiday crafts and activities for children, and story times with the Snow Queen between 12:30 PM and 3:30 PM. The St. James AME Youth Choir will enhance the holiday spirit by singing from the bandstand at 2 PM. History Park affiliates will add to the diversity of the holiday: the Hellenic Heritage Institute, the Portuguese Historical Society of California and the Chinese Historical and Cultural Project are just some of the participants. There will be arts and crafts projects at the Umbarger House, the Markham House, the Hill House and the Associated Oil Service Station. In addition, the Print Shop and Trolley Barn will be open, as will the Leonard and David McKay Gallery. Admission is $8 per family of four, $2 per additional person; HSJ members are free with a membership card. History Park is located at the corner of Senter Road and Phelan Avenue, at the south end of Kelley Park. 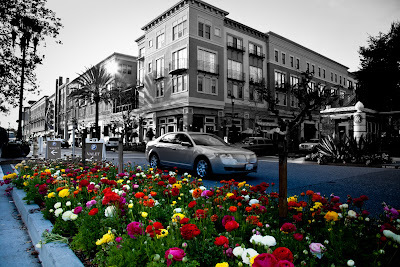 City of San Jose regular parking is $6; seniors, active military, and handicap parking $2. San Jose freeways are about to get more colorful. Six giant digital signs are going to be placed in major retail centers in San Jose and all will be visible from freeways. The signs will be 60-90 feet high and potentially as large as 500 square feet. 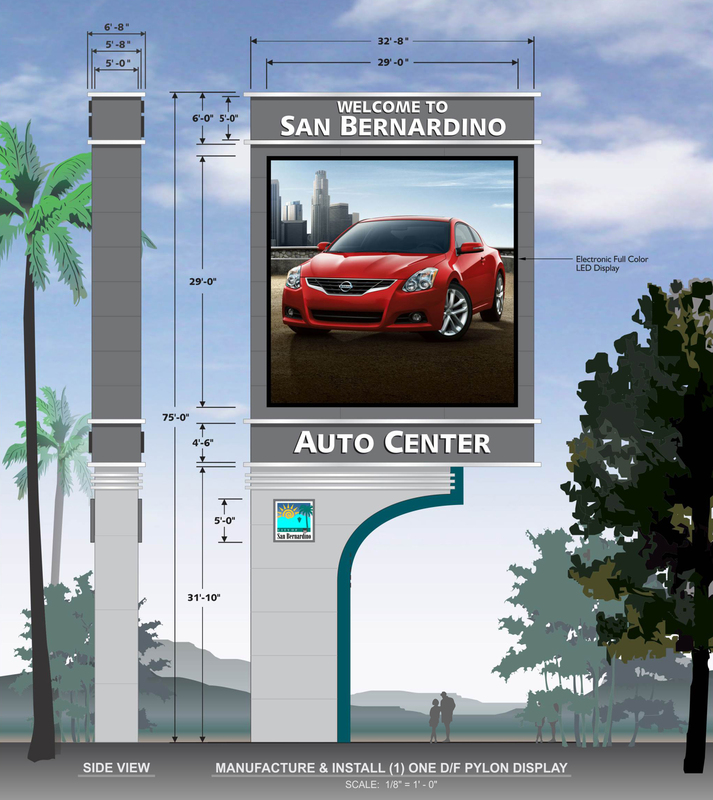 To give you an idea how large this is, the sign in the mockup below for San Bernadino is just over 800 square feet. The idea is that the signs will bring in more shoppers to key centers and increase tax revenue for the city. If this pilot program is successful, you can expect many more signs to follow. Some may consider these driving distractions, but I always associate these types of signs with big cities like New York, London, Tokyo, and dare I say Vegas. They may make us look more "Silicon Valleyish" so I'll welcome the change for now as long as they don't cause many more car accidents. Hope everyone is feeling the holiday spirit! 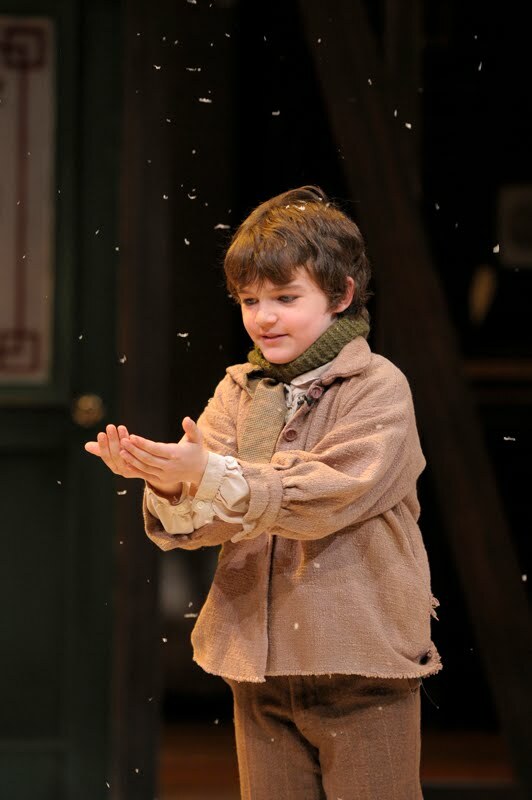 Downtown is full of festive events and shows -- one in particular is A Christmas Carol playing at the San Jose Repertory Theatre until December 24th! The other day I attended Opening Night and immediately felt the holiday spirit upon entering the Rep. Garland, bells, Christmas wreaths and trees greet you and really begin to set the tone. Just before the show is to start, the actors arrive on the steps of the Rep and begin to sing classic Christmas carols. While I have heard some before, others I have not - they’re very old fashioned (then again, what Christmas carols are ‘new’? Hmm...) and while generally not my cup of tea, the caroling really helps bring you into the show you’re about to see. You’re going to be sucked into the Victorian era! Before watching the show I had read a tweet from the Rep saying that the production featured 18 actors playing more than 50 roles. This above all intrigued me. First off - AWESOME memories these actors must have (I have a hard time remembering things I did last week, let alone lines for multiple characters!) but also, that must be some great organization behind the scenes for the costume designers. Ok since I’m not a professional theatre critic I’m going to break this down by category - again, I am what I’ll define as a casual theatre-goer; I enjoy plays and musicals and theatre in general. So maybe I’m more like you, random reader - hope my review helps you decide if you’ll see the show or not. ActingLike I said before there, there are 18 actors who collectively played more than 50 roles. To bounce between a few different characters and often times providing the part of narrators is a feat unto itself. Everyone did a great job and I was never once confused as to what character was talking or what was happening. I must say right now, sorry to the adults in the play, but the children simply stole the show - as often they do! Making her first professional stage performance, little Alison Lubeins had my full attention. She’s just darling as Alice Cratchit and did a great job with all the lines and actions she had to perform. Another one of the child actors that stood out, and importantly so as his character is vital to the story, Everett Meckler as Tiny Tim. When he sang (while Marvin Greene as Bob Cratchit played acoustic guitar beautifully) the audience was silent. I don’t even think people were breathing. He has a soft voice and sang with the victorian-style accent as well. Wonderfully done and I think I heard a few sniffles in the audience after the song. There was a lot more singing then I had anticipated. And while I am a fan of musicals, it’s the old-fashioned carols and songs that *personally* can get on my nerves after awhile -- but do not let this sway you. I’m a blogger, I am personally giving my opinion here. All songs are really appropriate and help traditionally tell the story. Very interesting and I am not surprised as The Rep often has such a unique approach for its set design. The actors were often the ones, as narration goes on, to physically adjust the scene. Set change came off as a seamless, choreographed dance and never once confused me as a viewer. In relation to set design - there were a few surprise moments that stood out to me. When Marley’s spirit shows itself to Scrooge in his chambers and how the Rep did it was a fun and unique way. Lots of lighting and dry ice to set the eerie, scary moment alive. That said, I think in this ONE case, there seems to be something missing, perhaps a mixture of the actor’s movements or delivery and audio effects something just didn’t feel spooky enough to me. However when Marley’s ghost first appears to Scrooge on the door knocker, The Rep used a technical approach that worked wonderfully. I was curious as to how they’d do it and pleasantly pleased how they did. Overall the show is a great way to spend a holiday evening out with family and friends! Choral Kicks Off 25th Season with "Carols in the California"
On December 10th at 7pm, the Symphony Silicon Valley Chorale will open their 25th Anniversary Season at the California Theatre. The family friendly event will have plenty of holiday music along with an audience carol sing-along. For more information click here. 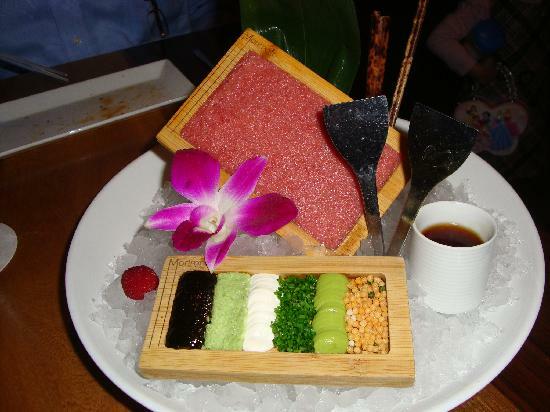 Over the weekend I had the opportunity to try out Morimoto in Napa, probably the best Japanese restaurant I have ever been to. By the end of the meal, all I could think of was that I want this place in San Jose. If you could pick one restaurant to bring to San Jose, what would it be? 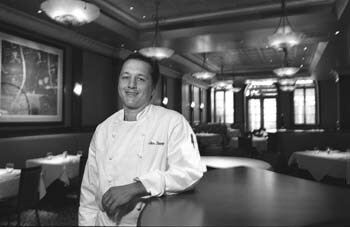 Silicon Valley restaurateur Jim Stump (AP Stumps, Los Gatos Brewing Co.) is bringing a new concept to Willow Glen called The Table. He's designing it as a gastropub (warm, inviting neighborhood restaurant) with modern American cuisine. The new restaurant will be on the corner of Willow and Lincoln in a brand new 41,000sqft mixed-use building. He's hoping to have it open by Spring 2012. He'll also have two new neighbors: the Crepevine and the return of San Jose's beloved Lou's Village. I can't wait to see how this corner turns out! Nutanix offers infrastructure for computer vistualization without needing complex and expensive network storage. Basically, they enable cloud computing at a lower cost. They're located at 1735 Technology Drive. It's not clear what they are planning on using the $25M for, but they are hiring. Artist Sara Tomasello being interviewed by the Mercury News. We'd like to invite you all to a special event with the ArtBox Project SJ in a celebration of artists and community! The project brings original works of art by local artists into neighborhoods by painting approved utility boxes. Meet artists and see their amazing work. Talk to the community sponsors. Check out the completed art boxes and hear about future locations. Buy art box note cards. Enjoy delicious empanadas (while they last!). Help Support San Jose Jazz! Last First Friday of the Year Tonight! Come check out the last First Friday of the year today in SoFA! The full lineup can be found here and the crawl map is below. 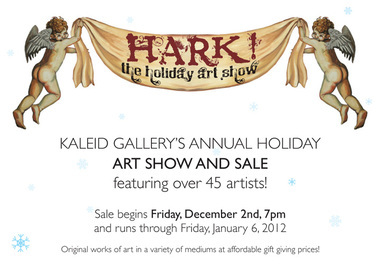 KALEID Gallery invites you to join us for our annual holiday art show & sale featuring 45 artists from KALEID as well as additional artists from the greater San Jose area. Original works of art at affordable prices perfect for gift giving! Exhibit opens and sale begins with an Artists' Reception on First Friday, Dec. 2nd at 7pm and runs through Jan. 6, 2012. 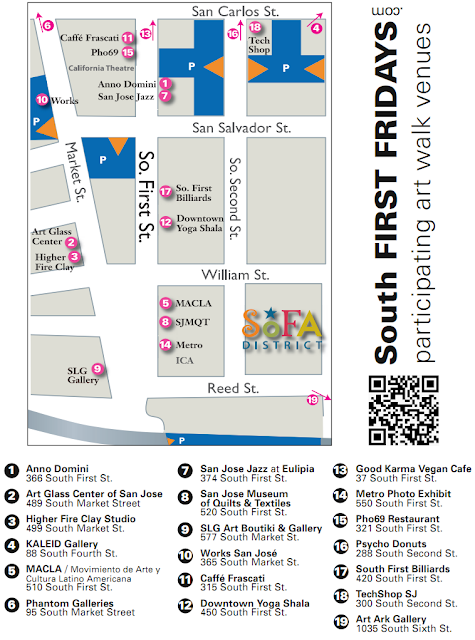 The reception is part of the South FIRST FRIDAYS art walk in downtown San Jose.